Following a vote of confidence from some of our volunteers we put a request (for clothes much needed in this cold weather and also) to see if anyone could assist a volunteer who wished to hand out some tents to people sleeping rough on the streets of Leeds. That would be a stubborn person/group with such aims, although it has been claimed that there are those with just such aims, such as those who derive high salaries from managing the homelessness crisis, is it not actually more in their interest given the large financial incentive, ‘fly me to the moon’! It might not be so bad if volunteers received a little something eh? Moreover, was it not people/groups that were providing tents for rough sleepers that actually resulted in the council handing out keys/homes to a considerable number of Leeds homeless recently? Neither is it clear how much “accessing services and finding permanent accommodation” has to do with “safe secure shelter” (what does one have to do with the other, and why? We think there is a bit more to it than that). And who is to say what a safe secure shelter is? who is to say that an alleged safe secure shelter would not put the recipient at even more at risk? Does prison constitute a safe secure shelter? Do homeless people in tents not help draw more attention to the truth, that one of the wealthiest cities in the UK (LEEDS) seems actually to be sweeping its problems (such as homelessness) under the carpet as it boasts of its THREE KEY AIMS: RAISE STANDARDS, RAISE AWARENESS & ADD VALUE – Yes, upgrading from the 222 injunction to cautioning, ‘yellow carding, red carding, then issuing fines to some of the most vulnerable homeless people on the streets, don’t worry, it’s the norm here in Leeds. Then its, “there’s not enough beds” for the homeless, “there’s not enough space” blahh blahh, then “there’s not enough funding” then “Oh you have to be clean to come in here” or “Sorry mate, there’s no dogs allowed so hit the road jack” (snobbery at the highest order or what?). Would giving a tent to someone who is sleeping rough not be the next best thing to a “safe secure shelter”? at least when all else is uncertain? If you can spend X amount locking up rough sleepers why not on preventing and reducing homelessness? The Crypt is seeing a massive increase in people needing temporary food and accommodation (See here, please contact them for recent statistics). Might direct housing benefit and bill payments help prevent, and even resolve many of the issues apparent on the streets today? 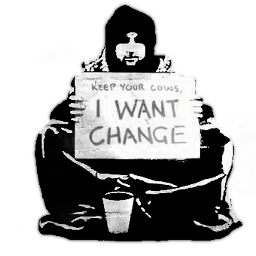 It is a deliberate system which at the one end of the spectrum; fear mongers people onto the property ladder ripe for home repossessions, or at the other end; forces those who might not be so afraid onto the cold streets, where the state still continues to harass people while they sit patiently waiting for change. No sorry, keeping people on the streets, preventing them from safe secure shelter and from accessing services and finding permanent accommodation is not our aim, but we have considered that this may well be in the interest of some. Actually, we are trying show how vegan food/ethics supports optimum health, supports successful detoxification and rehabilitation, and is the only thing that will ultimately alleviate so called food inequality/injustice and bring about peace permanently locally and globally. And so, the sooner people come to their senses and divest in animal slavery/cruelty, freeing up more land and automatically cleaning up the sky and the sea (air & water), then the sooner we’ll evidence the halt of global warming and prevention of further climate chaos, health epidemics and really stand a chance of ‘feeding the world’.